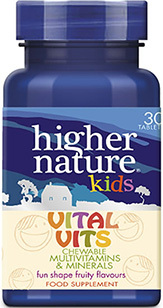 Introduce your little one’s to Kids Vital Vits. These delicious multivitamins are filled with 19 essential vitamins and minerals to support your child’s healthy growth and development. Carefully balanced with vitamins A, D2, E, C and B, they’re ideal for fussy eaters and come in three playful shapes and flavours; mango robots, lime aliens and raspberry teddies. Free from artificial sweeteners and preservatives, just one chewable tablet a day provides children with the nutrients and vitamins needed to support their diet. 400µg Vitamin A, 5µg Vitamin D2, 6mg Vitamin E, 80mg Vitamin C, 1.1mg Vitamin B1, 1.4mg Vitamin B2, 8mg Vitamin B3, 6mg Vitamin B5, 1.4mg Vitamin B6, 200µg Folic Acid, 2.5µg Vitamin B12, 50µg Biotin, 56mg Magnesium, 7mg Iron, 10mg Zinc, 0.5mg Manganese, 10µg Chromium, 27.5µg Selenium, 75µg Iodine. Contains fructose. Children aged 3 and over chew one tablet a day. Contains vitamin A. Do not take if pregnant or planning pregnancy. Suitable for children aged 3 and over. Store in a cool dry steam-free environment. My 3 and 6 year old girls have been taking them for a while specially mt 6 year old. Alway healthy, hardly ever ill. We are very happy. My children don't like all the flavours so inevitably a lot get wasted. Is there scope for selling single flavours? My son, who's now 6, had been taking dinochews and wasn't ill a day while taking them. As soon as they were discontinued and he started taking these vital vits (as that was all the multivitamin supplement available here for children), he picked up all the bugs and viruses readily available at school. Coincidence? If you believe in those... We were very happy with Dinochews, so please restock them!! Thank you. Taste like refreshers - yummy! 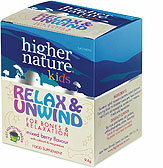 This are lovely little vits - the kids love them. They say that they taste like refreshers (and on tasting them myself I have to agree!). 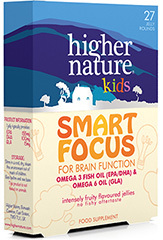 Good mix of nutrients at levels you won't find in other kids supplements. I know that the kids are getting a good dose of their vitamins and minerals when they take these. 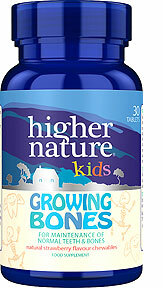 We used to get the dinochews for our son but have swapped to these now that he is 3 (the minimum age recommended on the packaging) as they have 100% RDA of all the vitamins rather than the lower values in the dinochews (which are probably more suitable for younger/lower body weight children). This gives me a lot more peace of mind that he is getting everything he needs, especially as he is quite a fussy eater and we are trying to transition to a paleo/clean diet at the moment so are having to try him with quite a few "new" meal ideas which don't always go down well! He enjoys having a choice of robot, alien or teddy and likes the flavour of all of them and let's face it, not to have to fight to get a child to take their vitamin is worth the price of these alone! My only criticism would be that these are full of quite a few 'fillers' (albeit more natural than some brands use) and that the product does not use the most bioavailable formulations which is a shame. For example, it contains the cyanocobalamin version of B12 which is much more poorly converted by the body than bioavailable versions such as methylcobalamin, so much so that a chat with my nutritionist friend reveals that only 2.5mcg of it is somewhat like blowing into the wind. Much higher intakes of the cyanocobalamin version would be required in order for enough of it to be converted by the body into a useable form which would provide 100% RDA. Similarly, this contains folic acid, rather than the 5-MTHF version providing body ready folate. I guess it is worth pointing out in defence of this product though that to get a fully bioavailable version would probably make the cost prohibitively high, so for us, it was the best compromise of range of vitamins and minerals in the formulation, flavour and palatability and cost/price. All round, I'll stick with these. In an ideal world our diet alone should provide all the nutrients we need, however the ideal can be interrupted by many factors and many of us don’t achieve the recommended minimum five a day fruit and vegetable target set by the Government. If you’re a vegan or vegetarian, it’s important to make sure you know the nutritional essentials for a healthy diet. Vegetarian and vegan diets can be incredibly healthy. But being a vegetarian or vegan is much more than simply cutting out meat. To ensure your diet is balanced and healthy, it’s important to know the common shortfalls. From the moment we are born, our immune system protects us from infection; blinking, sneezing and coughing are all defences against harmful microbes in our environment.